JSA & REA Cost Collector $38k on Babe Ruth Forgeries and Bogus Bambino Hair; Sony Exec Spent $57k on 500 HR Club Fake; Was Barry Halper the Forger? Three different Babe Ruth forgeries from the Halper Collection. Experts say they are all signed in the same forgers hand. Halper’s Ruthian hair holdings were a signature item in his treasure-trove and contributed considerably to the Halper mystique. 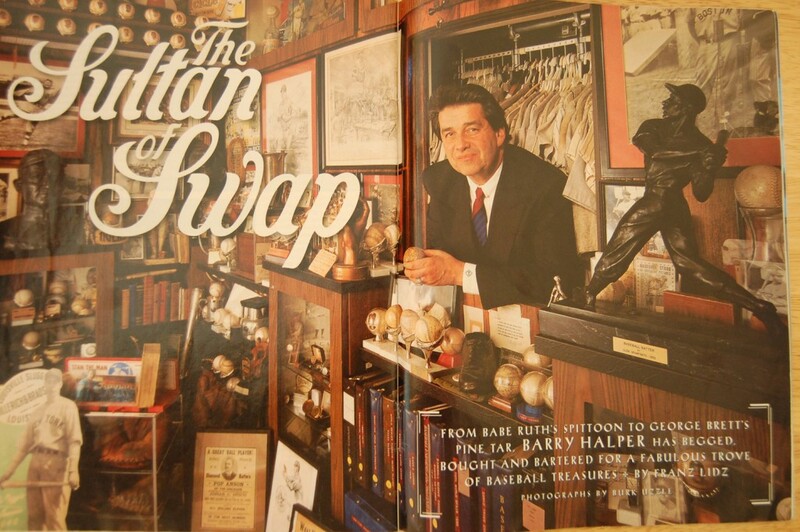 So much so that Lidz and Sports Illustrated aptly crowned Halper “The Sultan of Swap” in their nine-page spread. Halper's tale of a trade for Babe Ruth's hair contributed to Sports Illustrated calling him "The Sultan of Swap" in this 1995 feature article. 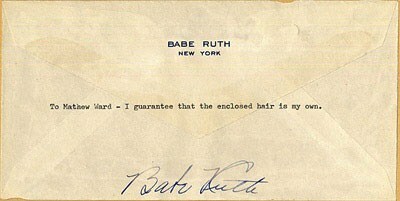 Halper's Ruth hair was featured prominently in the article which quoted from an alleged letter of authenticity from the Babe himself. Halper's "Ruth Hair Display" appeared as lot 1026 in REA's 2007 sale. REA failed to mention the basis for the “extraordinary provenance” which they relied upon. That alleged “provenance” encompassed only Halper’s acquisition story from the Iowa collector and the accompanying documents authenticating the hair addressed to a “Matthew Ward,” which REA had already deemed secretarial in 1999. 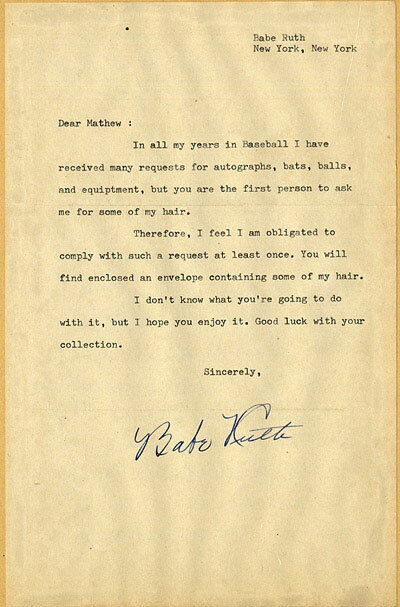 JSA told REA that the letter authenticating the Ruth hair included a "Non-malicious classic secretarial" signature of Babe Ruth. One way to know for sure if the Ruth signatures authenticating the hair were “malicious forgeries” is to research whether Halper (or any other collector) had similar alleged secretarial Ruth signatures in their collection. If James Spence Authentication had just referred to one of the most famous Ruth autographs in the Halper Collection, they would have found their answer. Unfortunately, for the person who paid over $38,000 for the hair at REA, JSA didn’t do their homework. 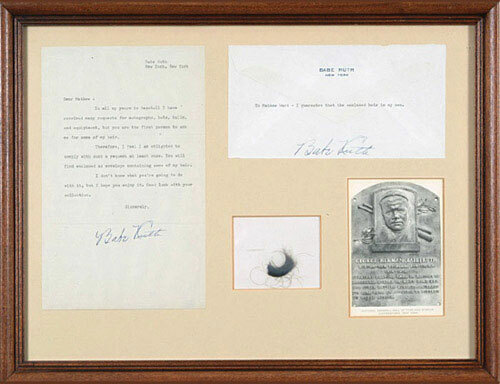 Halper’s equally famous “500 Home Run Club signed sheet,” which sold for $57,500 at the 1999 Sotheby’s sale, includes a Ruth signature that matches the characteristics of the two signatures on the documents authenticating Ruth’s alleged hair. Autograph expert Ron Keurajian believes that all three signatures were signed by the same person. “It is my opinion that the two Ruth signatures on the documents with the hair were signed by the same person who signed Ruth’s name on the 500 Home Run sheet, and none of them were signed by Babe Ruth and none of them are secretarial. In my opinion they are all forgeries,” said Keurajian. So, how could a Ruth signature alleged to have been secured by Halper in person from Ruth in 1948 match the handwriting on two alleged “non-malicious” signatures that expert Ron Keurajian has deemed forgeries? 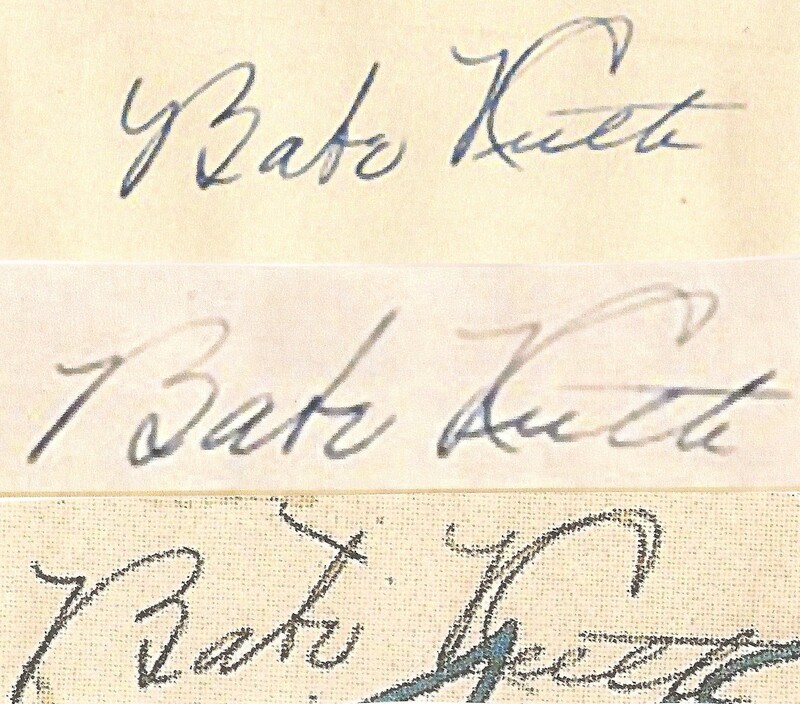 Said Keurajian, “It’s impossible, all three of those signatures, in my opinion, were signed by a forger, not Babe Ruth.” In addition, Keurajian noted that the letter was signed on a plain sheet of paper, not an official Ruth letterhead, and the envelope was a piece of authentic Ruth stationary that had the front of the envelope bearing the name and address of the recipient removed. “All of these elements suggest forgery, as well,” said Keurajian. Veteran autograph dealer and authenticator Richard Simon also commented on the Ruth stationary. ”It would seem to me that the letter typed by Ruth should have been on his personal stationery rather than a blank piece of paper, especially since the envelope was his personal envelope,” said Simon. 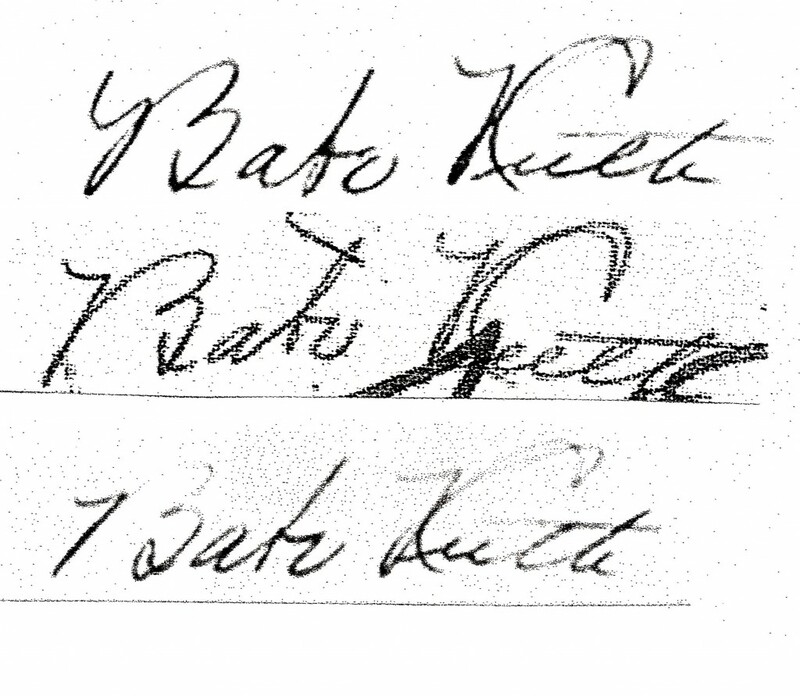 (Top) Ruth signature from alleged letter authenticating his own hair. (Middle) Ruth signature from alleged envelope with typed authentication of his hair. (Bottom) Alleged Ruth signature that Halper said he got in person in 1948 for his 500 HR Club Sheet. Expert Ron Keurajian believes all three signatures are forgeries signed by the same person. Adding to the controversy is an interview Halper gave to writer Robert Creamer in a 1989 cover story for Smithsonian Magazine. In that interview Halper did not tell Creamer, Ruth’s biographer, that he had ever met Babe Ruth. He never told him he asked for the Babe’s autograph in person in 1948, rather he said his father had originally given him the sheet of paper which featured Ruth’s alleged signature. But Halper never pitched or played for the Miami baseball team and Jimmie Foxx had already left his position as Miami coach by the time Halper enrolled at the school in September of 1957. Halper’s elaborate story was a fabrication. 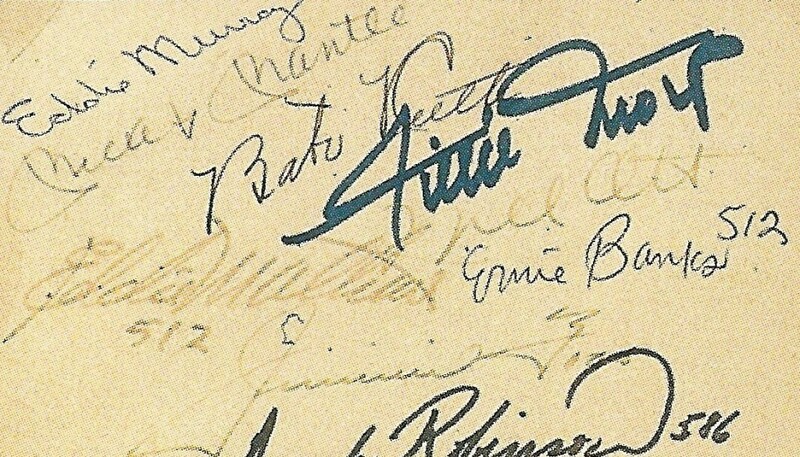 Halper said he acquired the Babe Ruth and Jimmie Foxx signatures in person for his famous 500 Home Run Cub sheet. Expert Ron Keurajian believes both signatures are forgeries. Halper’s well-documented lies about his acquisitions of the Ruth and Foxx autographs, coupled with the opinion of Ron Keurajian that all of the Ruth signatures are forgeries executed in the same hand, suggests that Halper himself, or someone close to him, may have been the forger. 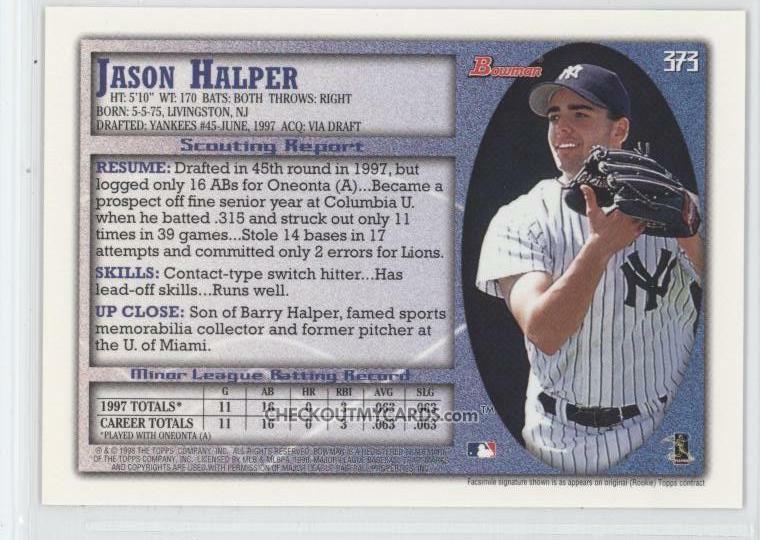 This Bowman baseball card of Halper's son, Jason, includes the false information that his father pitched for the U of Miami. Halper was referring to his father’s 500 Home Run sheet and, to the contrary, the Ruth autograph on that sheet has been widely accepted as a forgery by experts and auction house heads alike. In a prior article published in February by Haulsofshame.com, experts Ron Keurajian , Steven Koschal, Josh Evans and Mike Heffner of Lelands, Doug Allen of Legendary, and John Rogers of The Rogers Archive went on the record claiming they believed the Ruth signature on the 500 sheet was a forgery. (Left) The Ruth signature featured on Halper's 500 HR club sheet appears to be a forgery. (Right) This authentic Ruth signature shows the true flow and characteristics of his genuine signature. However, it’s exactly those stories Halper’s son speaks of that are at issue in regard to the Ruth signature on his father’s 500 HR Club sheet and the two Ruth documents accompanying the alleged lock of Ruth’s hair. How could Halper have two conflicting stories about his acquisition of the 500 HR sheet signature and then purchase, years later from a collector in Iowa, two more documents that match the 500 HR sheet signature as recognized forgeries in the same hand? It defies all logic. Sotheby’s identified current Sony Music Publishing CEO, Martin Bandier, as the purchaser of Halper’s “500 HR Club Sheet” in 1999 for $57,500, and the auction house also issued an addendum at that time which stated, “Please note there is a letter from Barry Halper accompanying this lot which outlines the details of how he personally acquired each signature (on) the sheet.” We contacted Bandier, who controls the music catalogues of the likes of the Beatles and Michael Jackson, to examine a copy of Halper’s letter and ask if he was aware of the controversy surrounding his purchase? Bandier, contacted at SONY headquarters in New York City, declined comment. 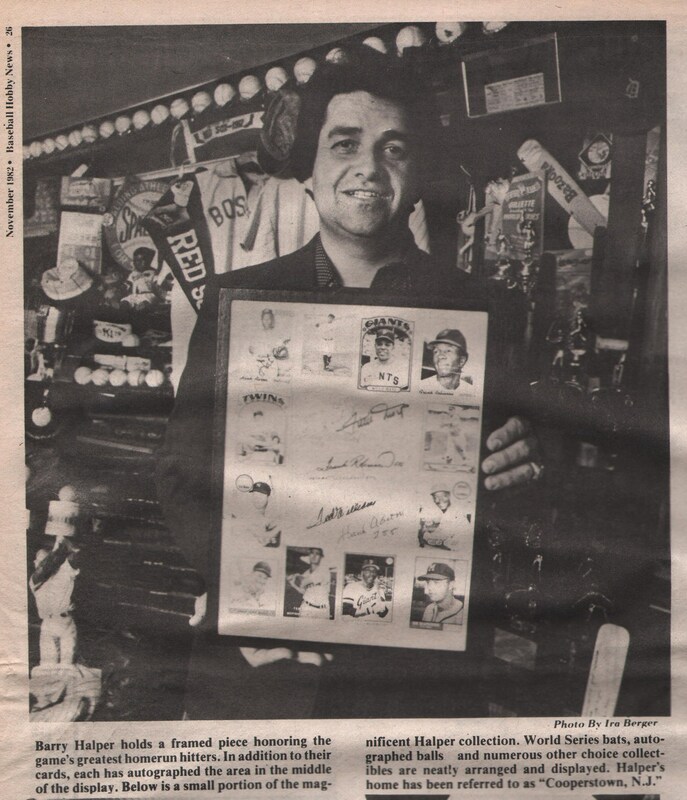 Bary Halper displays his "500 Home Run Club" signed sheet in the November 1982 issue of Baseball Hobby News. When the alleged Ruth hair sold at REA, their lot description did not mention JSA by name but did call the Ruth signatures “classic secretarial examples from the period.” We asked James Spence III how he determined the Ruth documents accompanying the alleged hair were “non-malicious classic secretarial” signatures and which exemplars of secretarial signatures in his data base he utilized to make that determination? We also asked Spence for his opinion as to whether he thought the signatures on the hair documents were written in the same hand as the Ruth signature on the Ruth 500 Home Run Club sheet? Spence did not respond to that question either. Questionable authentications of signed Ruth material by Spence were the subject of a report published by Haulsofshame.com earlier this year. Sources indicate that the sheer volume of mistakes made by Spence on valuable items have attracted the interest of the FBI. As for the alleged Ruth hair, itself, how could authentic strands from the Babe’s dome come with forged letters of authenticity? JSA claimed this Ruth signature authenticating the lock of hair was a "non-malicious classic secreterial." However, experts say its an intentional forgery on an authentic Ruth envelope that had the opposite side (with adressee's information) cut and removed. DDC DNA Diagnostics Center of Fairfield, Ohio, bills itself as the “Most Trusted Name in DNA Testing” and has been contracted to perform DNA paternity tests for the Jerry Springer Show. A representative from DDC told Haulsofshame.com that it was possible to test the alleged Halper/Ruth hair clippings with certain blood relatives of Babe Ruth to determine if they were bogus. This is some TMZ-type-stuff. Except, it is about something that actually matters. I would rate this article 9.5. It’s corners are razor sharp; it’s well center; and has a beautiful, bright presentation. Halper refused dna testing on the Ruth hair against DNA of Ruth’s relatives. You would think he would want the DNA match to have ultimate provenance of the hair. Unless he knew it was no good? Might the “Ruth” hair be Halper’s own hair as a shrine to Ruth/Halper. Halper was known as the Babe Ruth of collecting. Why not? The letter and envelope provenance seemed to be doctored up by Halper or someone in his camp. How else could the signatures on the display match up perfectly against the signature on his 500 homerun sheet? Will the owner of this hair display come forward? then click on google images. Do the signatures look anything alike? A big change in signatures in 24 hours, wouldn’t you think? The June 14 example looks right, and the Halper example looks strange indeed. Ron Kerajian is head and shoulders above these authenticators. Why don’t they hire him for quality control? Why doesn’t he authenticate for collectors and auctions? I JUST COLLECT FOR HOBBY, BUT STORIES SUCH AS THESE ARE ALWAYS VERY INTERESTING TO ME, AND ENLIGHTEN ME IN ANY FUTURE DEALINGS. THANK YOU FOR YOUR REPUTABLE NEWSLETTER! Why isn’t this info in SCD???? ?